We are a group of volunteers interested in spreading enthusiasm for science! 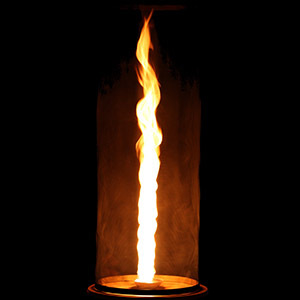 We visit schools, present lectures and give demonstrations from fire tornados to levitating superconductors! 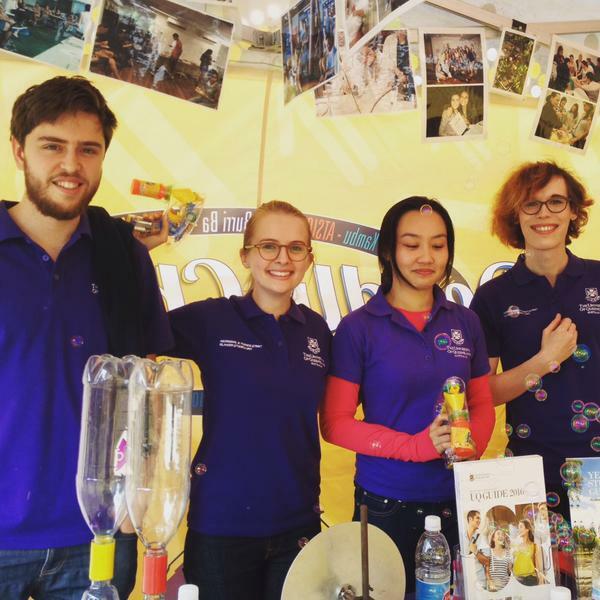 The UQ Demo Troupe is a group of volunteers interested in spreading enthusiasm for science. We regularly meet to practice our various science demonstrations and to come up with new, more exciting ones. We frequently visit schools to run science activities, and also regularly present lecture demonstrations for various undergraduate subjects at The University of Queensland. Ever thought about channelling a million volts of lightning? What about putting your hand in liquid nitrogen at 200 degrees below zero? Or maybe taking a nap on the infamous Bed of Nails?! These are just some of the death defying science stunts you'll see from the nationally acclaimed UQ Demo Troupe! From the science of smashing bananas to firing rockets, these shows are guaranteed to be exciting, entertaining AND informative! If you are interested in booking a demonstration, lecture, workshop or series of activites, don't hesitate to get in touch! Or, if you are a UQ student that might want to join, please contact us - we love having new people at our training sessions.